Posted June 15, 2018 by Bob and Jane Kinzie & filed under Backup Generators. At Kinzie Generators, we seek to offer products that are reliable, safe, affordable, and right for our customers. Especially for a product as complicated as backup generators, which really require a certain standard of expertise and experience that not many companies can live up to. You need to know that the generator you’re buying will provide you with electricity during a power outage and comes with an expert installation and maintenance team that is just as dependable as the machine. Cummins is the largest generator company in the world. What does that mean to you? A seal of approval on all Cummins products, guaranteeing longevity, parts available for your backup generator worldwide and repair facilities whenever, wherever. So, wherever you go with your generator, you have a company that’s there for you. The Cummins generator is the quietest on the market. It’s been shown to beat out other major brands in decibel counts and when noise control is a major issue, both with municipalities like Montgomery County and local groups, that’s huge. Don’t worry—your neighbors will thank you later. One of the most important factors every homeowner or business owner should consider when purchasing their backup generator is efficiency—because, in the end, that’s where the dollars come in. In that field, no other company compares to Cummins. The company is trusted for hospitals, stadiums, and data centers across North America for this very reason; it powers continuously, and it powers smartly. At Kinzie Generators, we offer the same quality and service to installation and repair that Cummins brings to its products. That’s why we’re proud to be an exclusive dealer for Cummins and have received the Top Cummins Dealer Award for two years in a row. 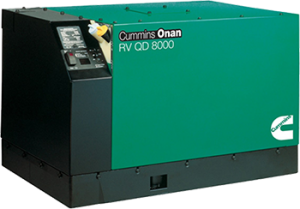 If you have any questions about the Cummins generator or would like to schedule your installation, contact us today!